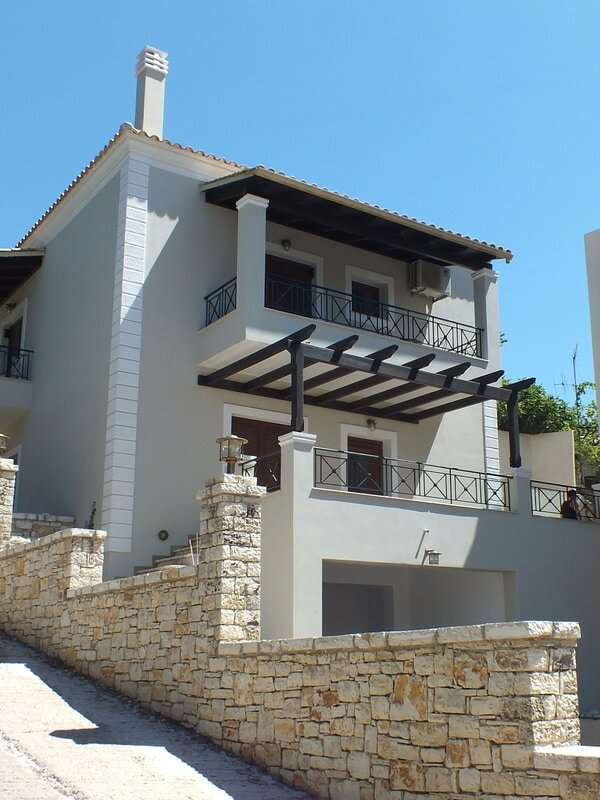 Newly-built Nymfes Corfu Villas consist of two seperate villas: Villa Lina and Villa Angie. You can rent each Villa seperately or together. Our Villas are located in the traditional Nymfes village in the northern part of Corfu, a 50 min. drive from the airport. Nymfes Corfu Villas are equipped with every amenity to offer you a comfortable and unforgettable stay. If you are a nature lover, if you are fond of bike riding or walking around the picturesque village and exploring the forest surrounding the waterfalls, the surrounding area will fascinate you. You may also opt to swim at nearby beaches with turquoise waters to cool off, or make an island tour by renting a car. Villa Angie, on the left, has a common pool, shared with Villa Lina. Villa Lina, on the right, is specifically designed for people facing ​mobility problems. Your stay in our village will remain unforgettable, no matter which of the two Villas you may choose!!! Nymfes Village is located 33km from Corfu Town. The unique vegetation with olive groves, tall cypress trees, large plane trees and oaks and the abundant running waters create a unique natural environment. ​walk in the Old Town will seduce you!